We design and implement your ideas taking care of every detail. The construction, production and packaging of a cover, whatever its intended use, represents the core of our productive activity. The construction, production and packaging of a cover, whatever it is its intended use, represents the core of our productive activity. The various stages leading to the finished product include important steps: contract negotiation and contract closure, design, raw material purchase, computerized cutting, assembly and high frequency welding. All these steps are strictly and accurately executed by specialized professionals and carried out in compliance with ISO 9001: 2008 standard. The textile membrane coated on both sides with PVC used, complying with all the features specified in the supply contract and / or in the specifications, is packaged, checked, and packed in such a way as to be ready for shipment or pickup. We begin with the closing and receipt of the order, followed directly by our sales office, which concluded the negotiation in coordination with our head of the technical office, who has the task of “building” what has been decided and confirmed with the customer. The contract is then registered in special sheets approved by the quality management system, than is included in the procedure manual. Subsequently, the technical department analyzes the hedging project and, if necessary, agrees with the buyer for an on-site measurement survey. This is the procedure when the structure already exists. Otherwise, when the structure has not yet been built and produced, the project for customer approval is sent by our engineer and only then we proceed as described above. 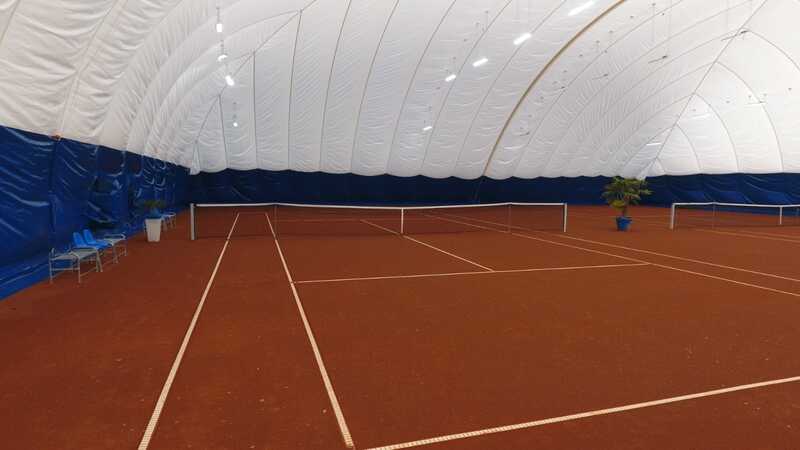 The structures covering sports facilities can be designed and realized also with the use of a second membrane. After we have verified the material, we proceed with the development and execution of the file on “cad” system; the file is sent to the plotter that automatically proceeds with the cuts, under technical production manager supervision. Then we check the cut parts for the next assembly step with the help of high-frequency welding machines which, thanks to the polymeric structure of the PVC, allow welding. The cover obtained is bent and packed together with any items supplied with the supply, than at the end of the process, the stages of the final check, the completion of the modules and finally the goods are ready for shipment/withdrawal. All materials come from high qualified and selected providers, which, throughout the years, helped our company to respect terms and conditions of delivery and, last but not least, the quality of our products, paying attention to customer’s needs and satisfaction. 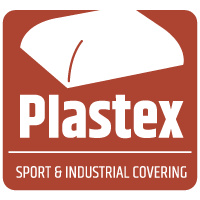 Plastex adopts a quality management system in order to increase its competitive advantage over the competition, putting the customer in the business center and its full satisfaction. Our Quality Management System has been certified ISO 9001 by MS CERT, one of the leading certification bodies.